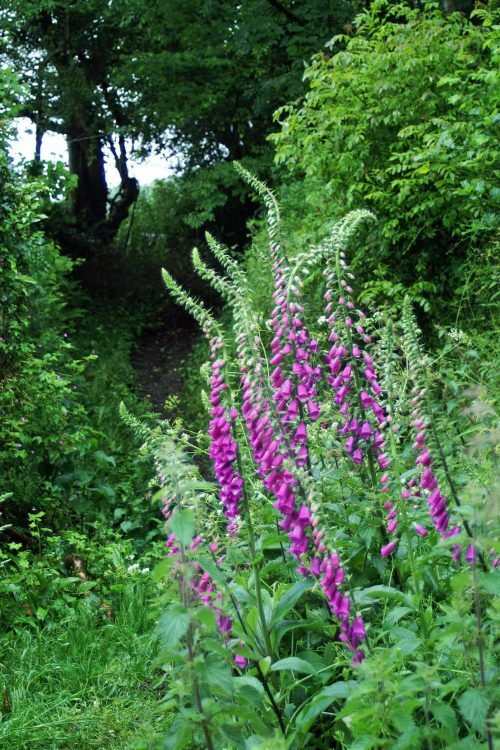 Bryn Euryn’s woodland trail is a circular route that travels more or less around the circumference of the bottom of the hill and is a good one to follow if you want a ‘proper’ walk without too many distractions. That’s not to say there isn’t anything to see; on my walks there is always something that catches my eye, or as happened on one particular evening, my nose! I had rejoined this trail after my diversion onto the more open hillside where I had earlier watched the butterflies, and by the time I reached there it was late afternoon and a little cooler; just the time to catch the intermittent scent of honeysuckle, which for me is the absolutely perfect fragrance. 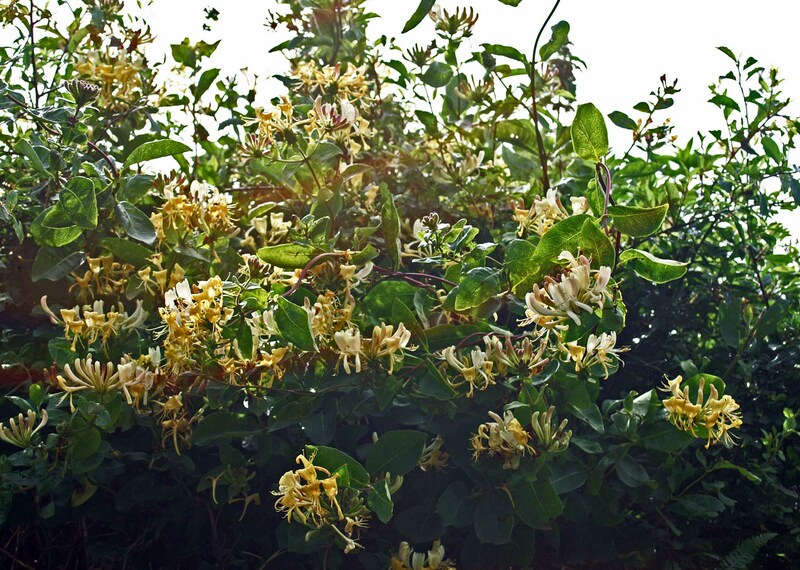 The fresh perfume of the honeysuckle takes me back to walking through shady summer woods as a child when the heavenly scent brought the plant to my attention and I would always have to find it and inhale more of it. In fact I still do that; I just cannot resist it. 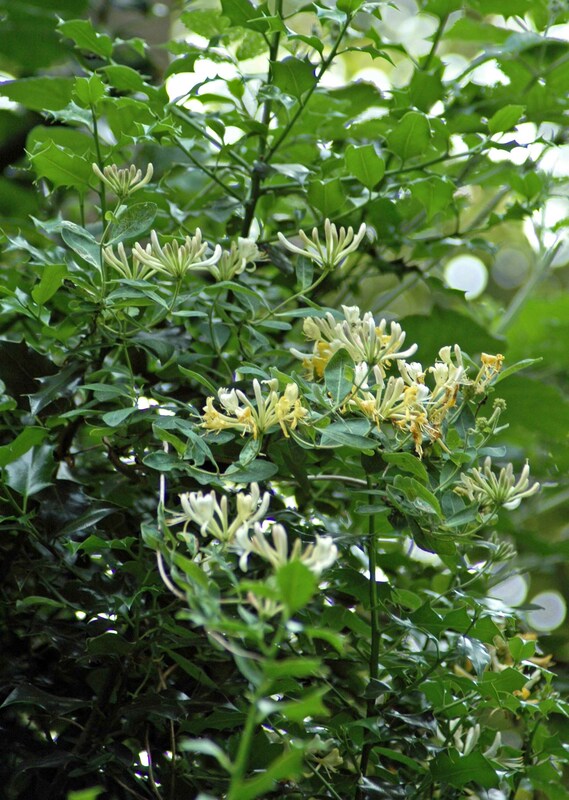 I remember being very disappointed when, training as an aromatherapist, I learnt that Honeysuckle is not an essential oil that is practical to use for therapeutic massage. It is very difficult to extract the oil on a commercial basis, so it ends up being very expensive and difficult to obtain in an ‘absolute’ or pure form; any you buy is likely to have been mixed with something else. 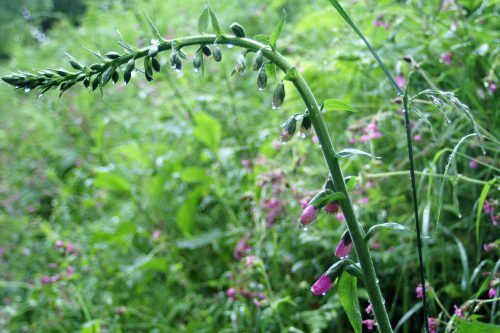 It is more widely used as a component of perfume. Shame, because the essential oil supposedly has some wonderful properties and if it had been practical to use I probably could have used it by the bucketful! 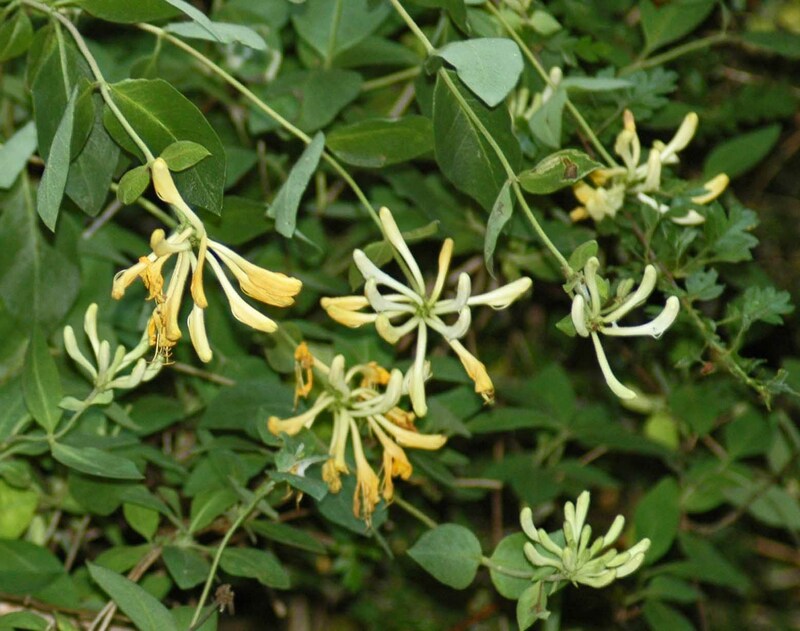 Honeysuckle has been used medicinally for thousands of years to treat respiratory conditions, diarrhoea, ease childbirth, and stimulate the flow of energy throughout the body. 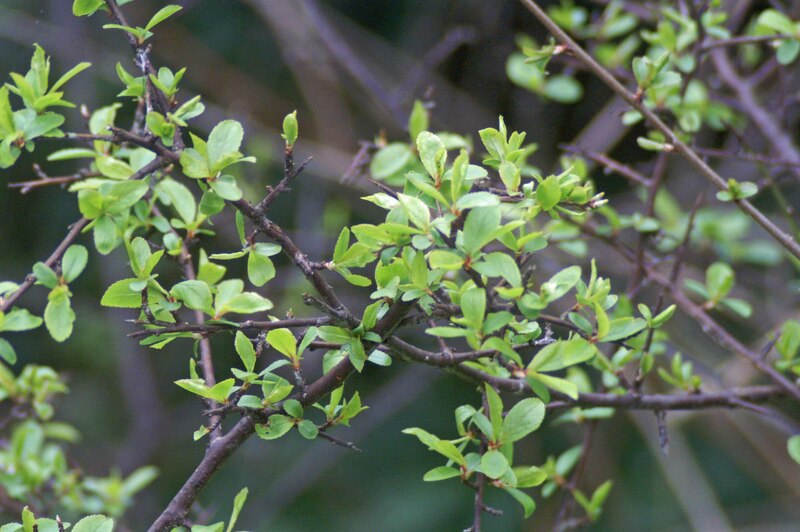 Aromadendrene, a terpenoid, is a constituent of honeysuckle essential oil, which contributes to the oil’s antimicrobial properties. 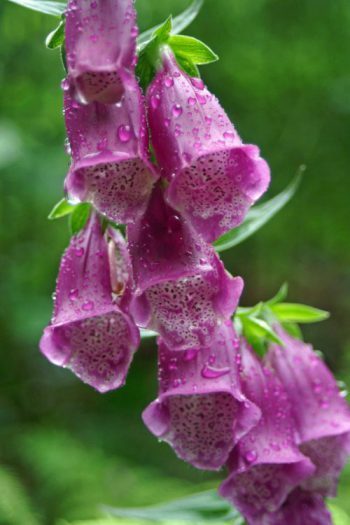 The terpenoid inhibits growth of micro-organisms, such as, bacteria, fungi, and protozoans. 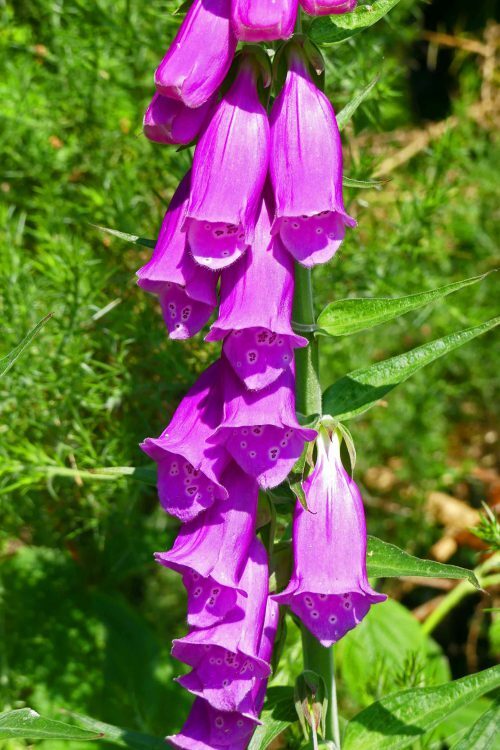 Eugenol, a phenylpropene, which is known to be a restorative and has a palliative effect, meaning it relieves pain and prevents further suffering. 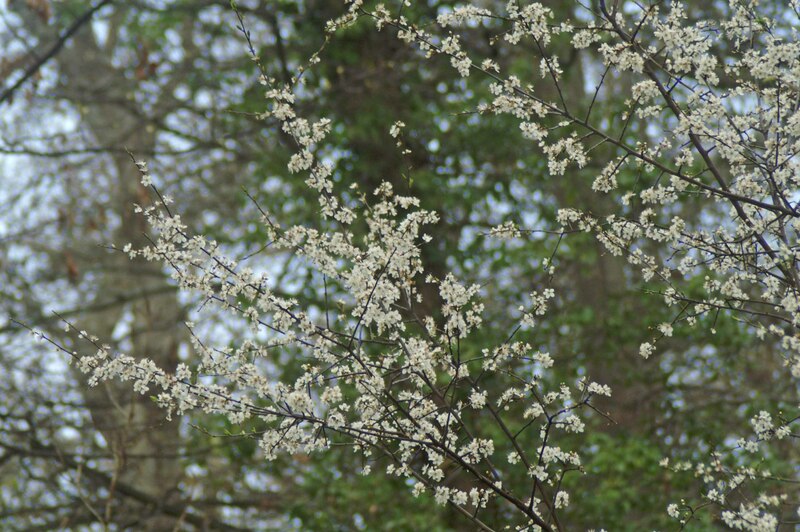 I know it’s not nice, but we all know that nature is not always about pretty flowers, butterflies and birds singing. Everything dies and it is actually interesting to see what benefits from that; it is often insects that are responsible for completing the circle of life. And, sorry, I do find Greenbottle flies very interesting. 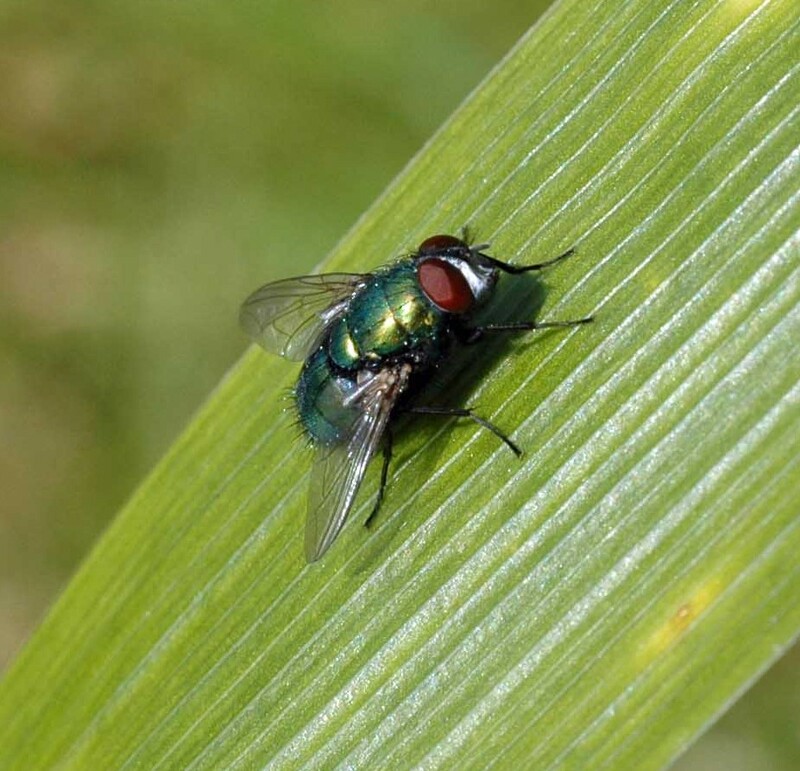 The Common Green bottle fly is a blow-fly, a member of the family Calliphoridae, is the most well-known of the numerous green bottle fly species and found in most areas of the world. It is 10–14 mm long, slightly larger than a housefly, and has brilliant, metallic, blue-green or golden colouration with black markings. It has short, sparse black bristles (setae) and three cross-grooves on the thorax. The wings are clear with light brown veins, and the legs and antennae are black. 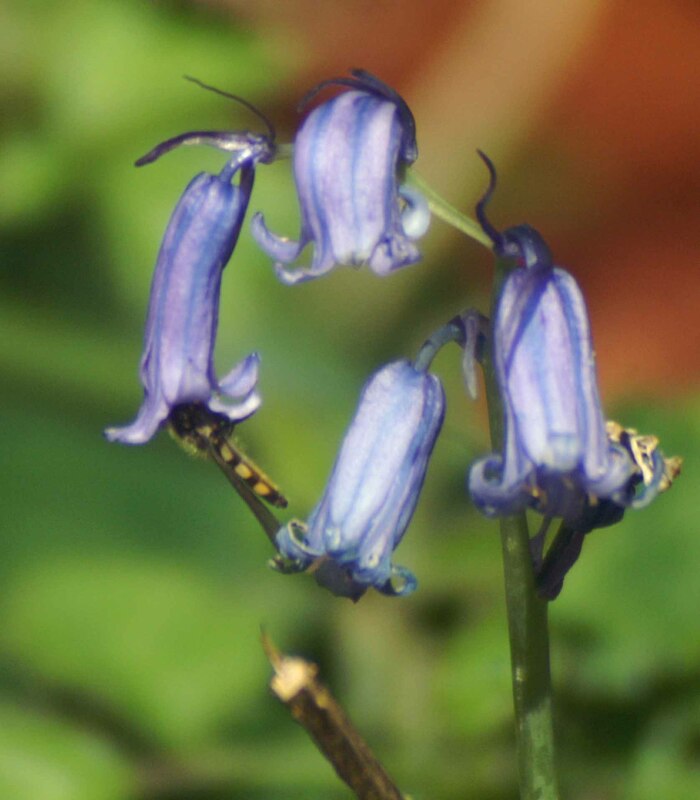 The fly is found feeding on flowers, but is also a common visitor to carrion and faeces. The female greenbottle lays a mass of eggs in a wound, a carcass or corpse, or in necrotic or decaying tissue. (A single female typically lays 150-200 eggs per batch and may produce 2,000 to 3,000 eggs in its lifetime.) The eggs hatch out in about 8–10 hours in warm moist weather, but may take as long as three days in cooler weather. Like most Calliphorids, the insect has been heavily studied and its life cycle and habits well documented and L. sericata is an important species to forensic entomologists. 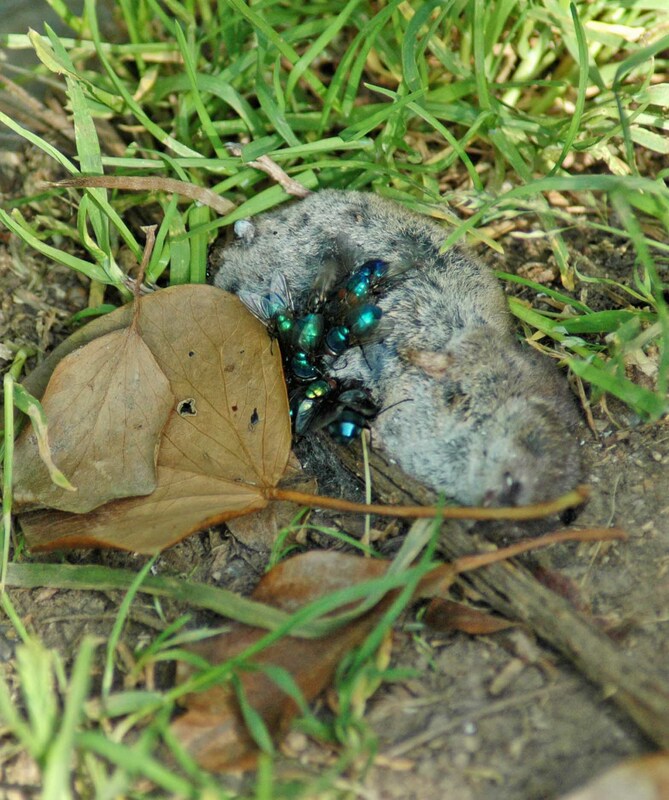 One of the first insects to colonise a corpse, the stage of the insect’s development is used to calculate the period of colonization, so that it can be used to aid in determining the time of death of the victim. 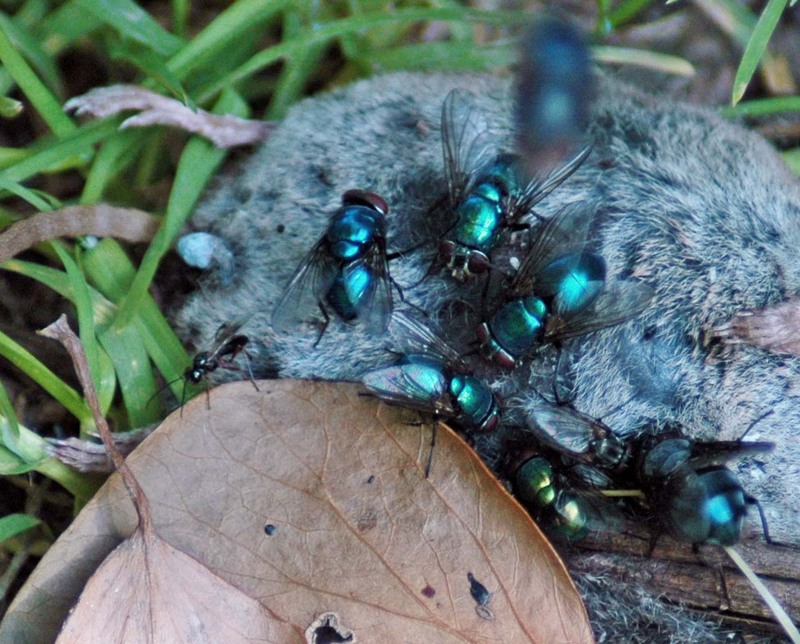 L. sericata, along with other species of blowfly also makes an impact in a veterinary sense. In the UK and Australia it is commonly referred to as the “sheep blowfly” since sheep are its primary, although not sole host. In Northern Europe, the fly will lay its eggs in sheep wool. The larvae then migrate down the wool to feed directly on the surface of the animal’s skin, which can cause massive lesions and secondary bacterial infections. In the UK, it is estimated that blowfly strike affects 1 million sheep as well as 80% of sheep farms each year. This causes a huge economic impact in these regions: it costs money to treat infected animals and to take measures to control L. sericata populations. 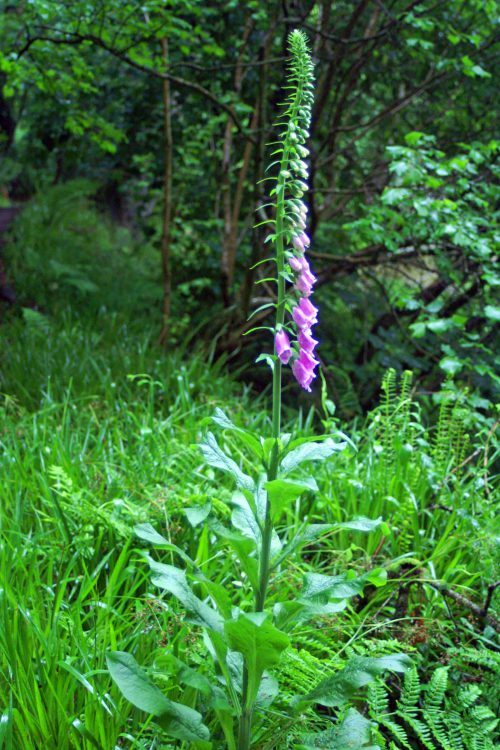 Foxgloves are not common here, but there were a couple of stems of them; tall now and maybe a little more than half-way to being finished. 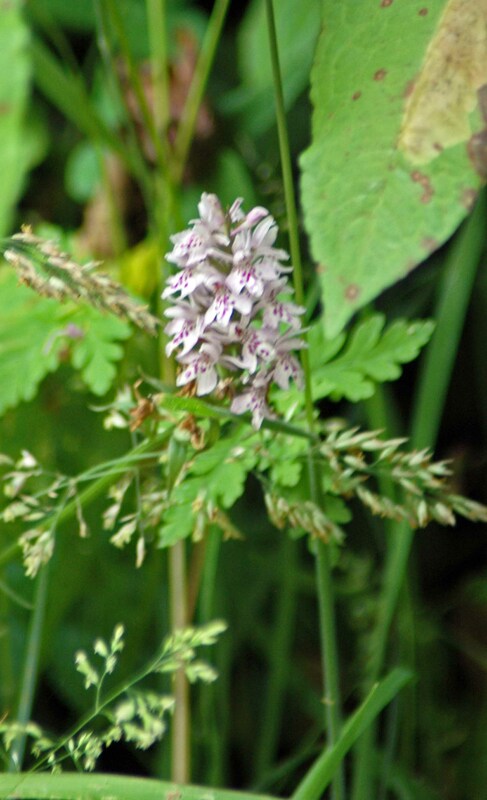 Amongst the grass and other tougher plants on the path edge a pretty Common Spotted Orchid pushed through. 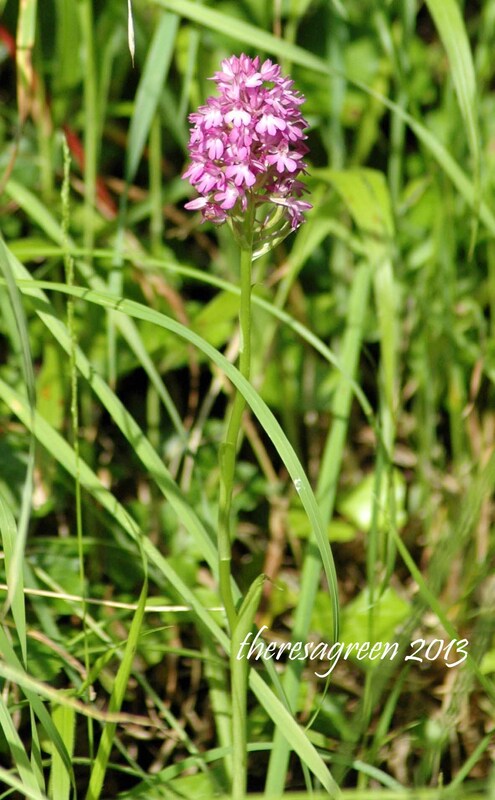 Further along, in quite deep shade I was surprised to find another Pyramidal Orchid. 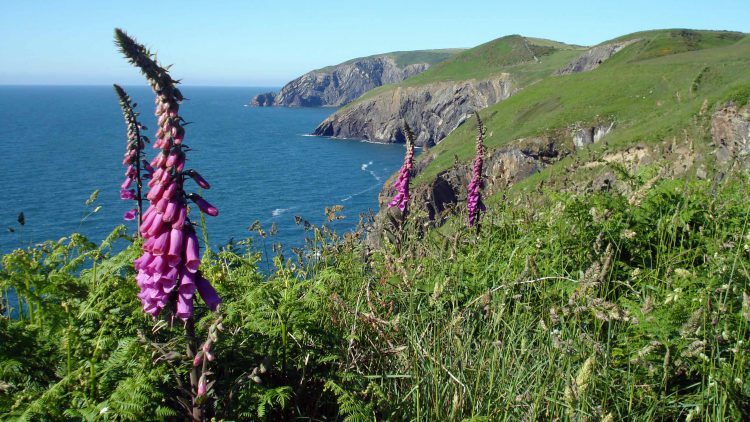 We returned home via the village of Dale which is situated on the south eastern tip of the Pembrokeshire Heritage coast and is also on the route of the Coastal Path. 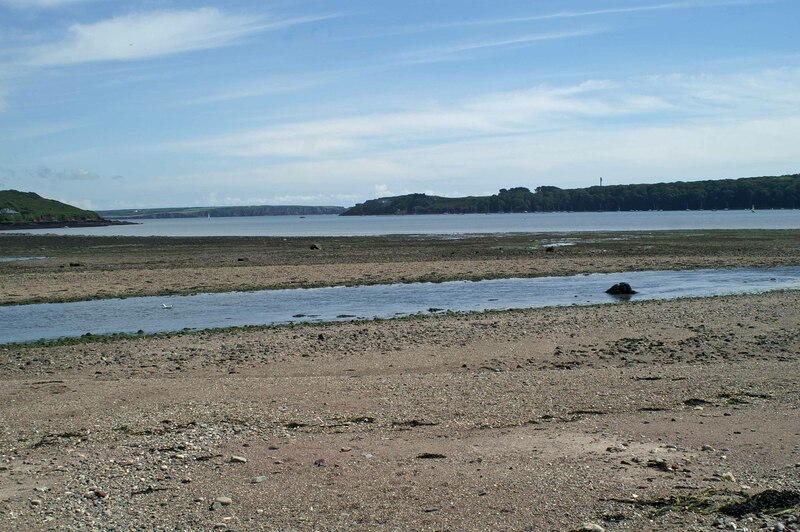 Its beach is located on the Milford Haven estuary between St Ann’s Head and St Ishmael’s in Pembrokeshire, South Wales. There is a lot of history attached to the village and surrounding area, but we had come to have a quick look at the unique habitat that lies at the back of its shingle beach. 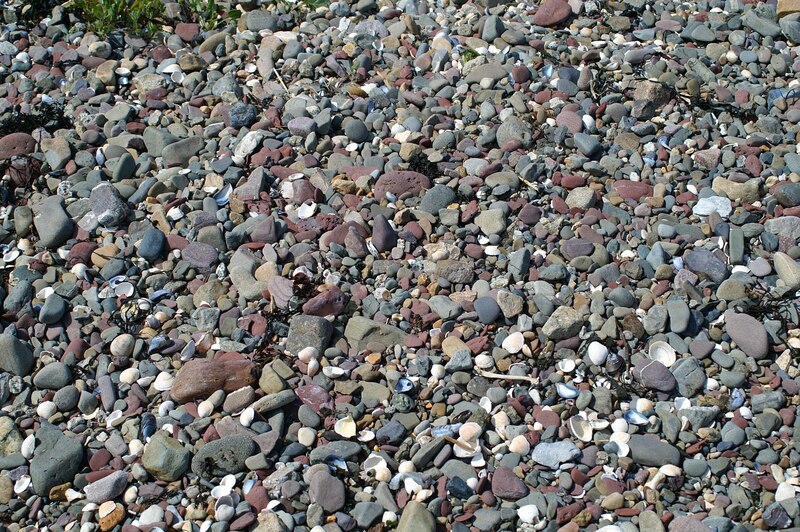 The beach is mainly shingle with some sand at low tide. 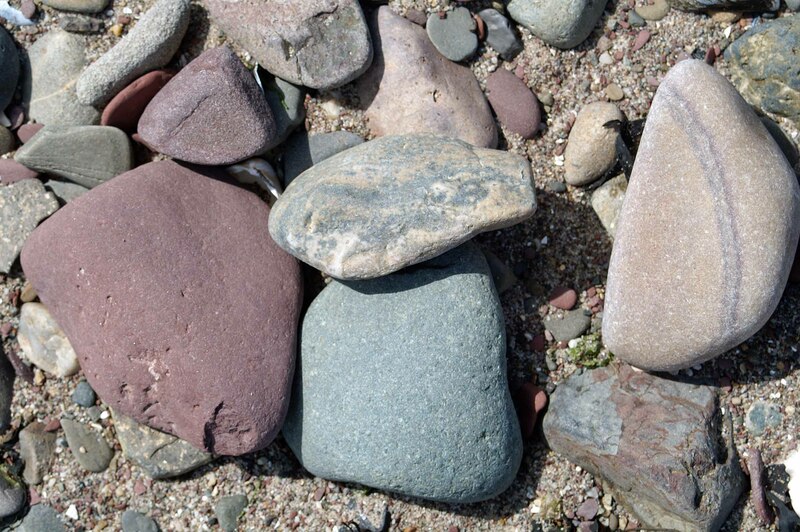 The red soils of the area are derived from old red sandstones seen at Lindsway Bay and Sandy Haven that are some 395 million years old. There are also occasional exposures of even older rocks, aged at 420 million years. The cliff tops are covered with glacial till made of unconsolidated material dumped by melting ice around 20,000 years ago and fields that have been ploughed are visible for miles as the soil is a bright red in colour. 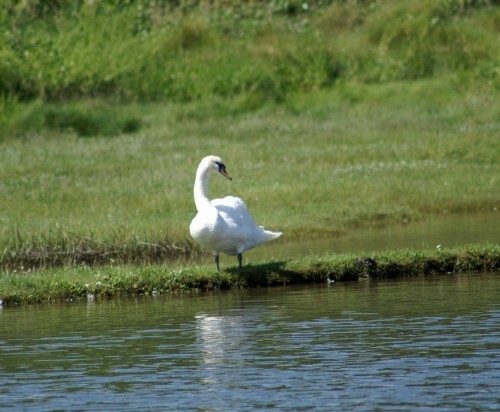 At the back of the shingle beach is a sand ridge and behind that an area of low lying land and the brackish artificial Pickleridge Lagoon, formed by the flooding of gravel pits that operated between the 1950s and 1980s. 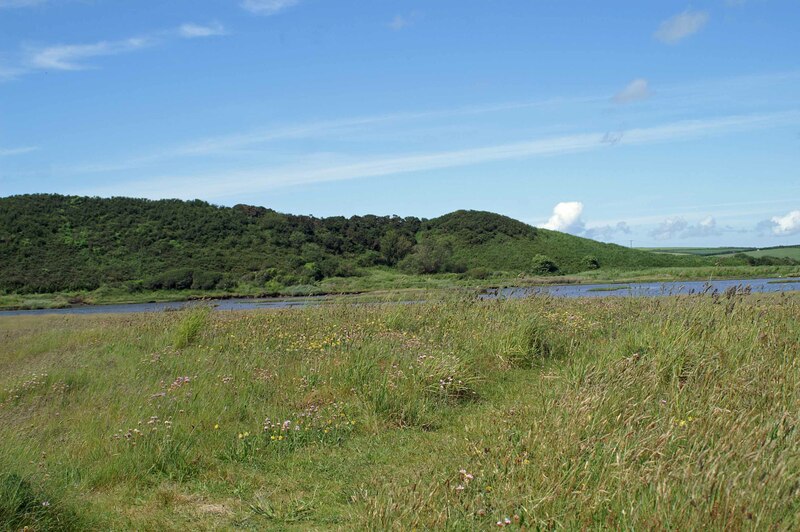 This has now become established as a saline lagoon and together with the extensive salt marsh in the Gann river valley, the area has become a haven for wildlife, particularly for wading birds and plants. There were very few birds around today, a few Oystercatchers were out on the tide line and a number of Mute Swans on the edges of the lagoons, but other than that we saw only crows, a pair of raven flying overhead and a magpie or two. There are some interesting plants growing here though, including the largest expanse of yellow flowered Kidney Vetch I have ever seen. 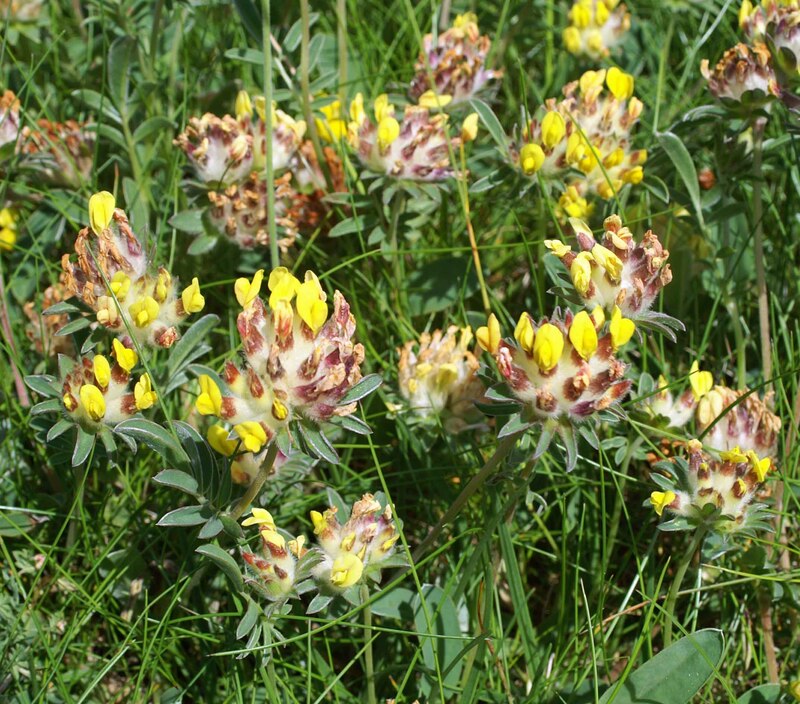 The small yellow flowers of Kidney Vetch are held in a cluster atop little woolly cushions, at first glance resembling a clover. 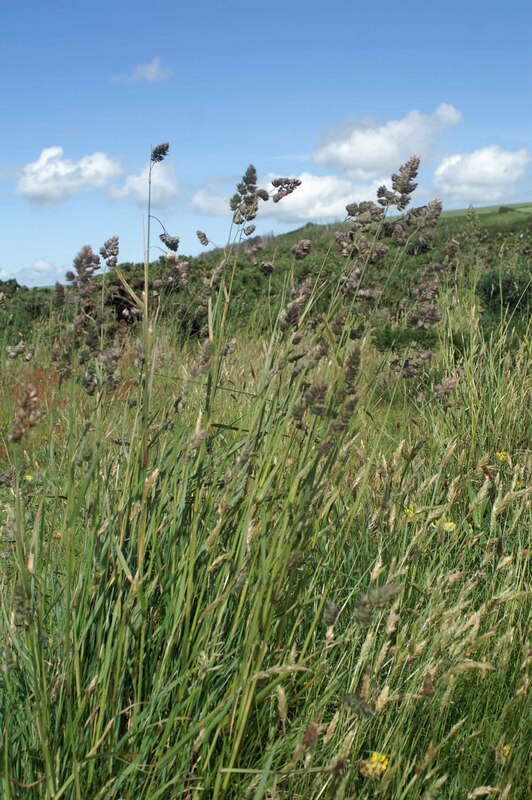 The plant flowers from June to September and is a distinctive feature of sand dunes, chalk grassland and cliffs across the UK where it may spread to cover bare ground if it finds the right conditions. 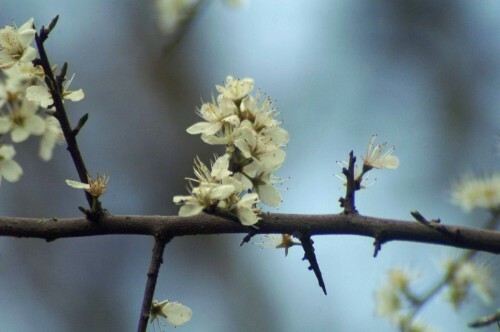 The flowers are mainly yellow, but can also be found in orange and red forms. 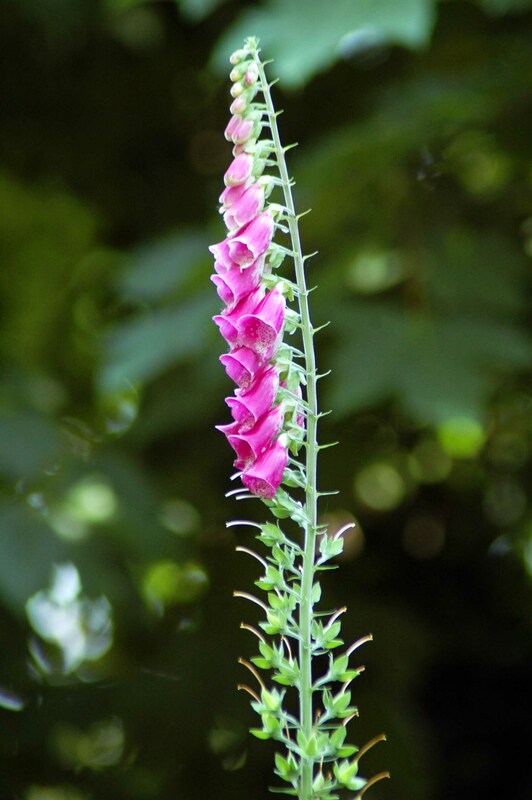 Each flower has its own hairy calyx (containing the sepals), giving the flower cluster its woolly appearance. The leaves of Kidney Vetch are divided into narrow leaflets that are silky and white underneath. Kidney Vetch is the sole foodplant for the larvae of the Small Blue Butterfly – a seriously declining insect which is classified as a Priority Species in the UK Biodiversity Action Plan. 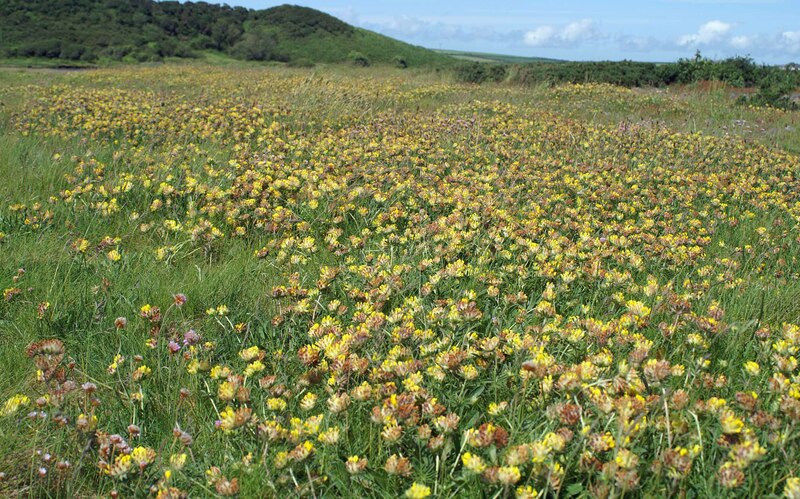 Although Kidney Vetch itself is not threatened, the habitats in which it grows are becoming fragmented and being lost at a rapid rate; for example, it’s estimated that we’ve lost 80% of our chalk grassland over the last 60 years. 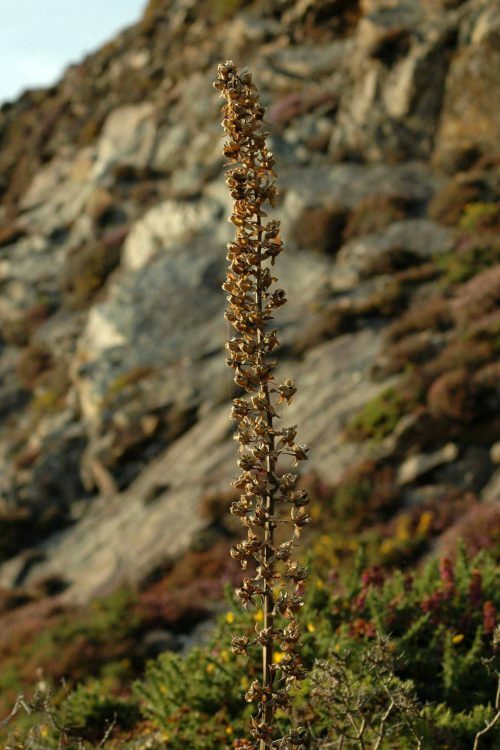 Kidney Vetch has long been used in herbal medicine as an astringent; the name ‘vulneraria‘ means wound-healer and applying it to wounds reduces bleeding. 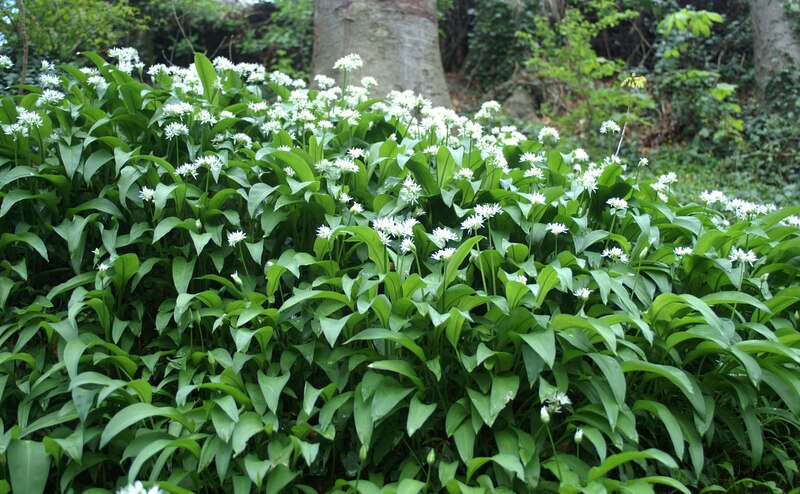 As the common name implies it is also used in the treatment of kidney disorders. There is a beautiful patch of red clover growing alongside the road leaving Old Colwyn and I just had to stop and have a closer look on my way home on Friday before it is past its best. 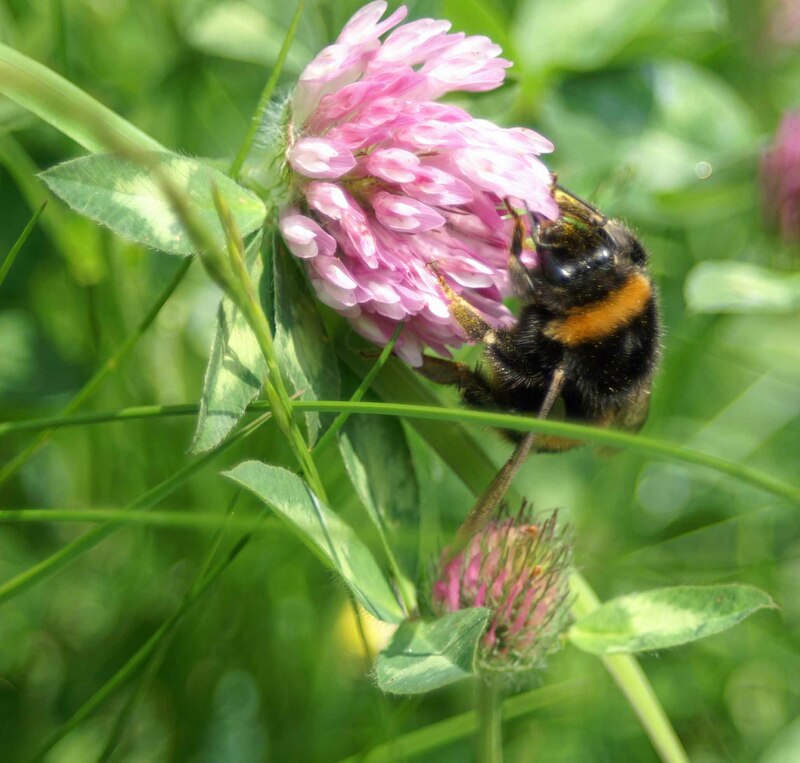 Red Clover –Trifolium pratense is a species of clover that is native to Europe, Western Asia and northwest Africa, but widely planted and naturalised in many other regions. 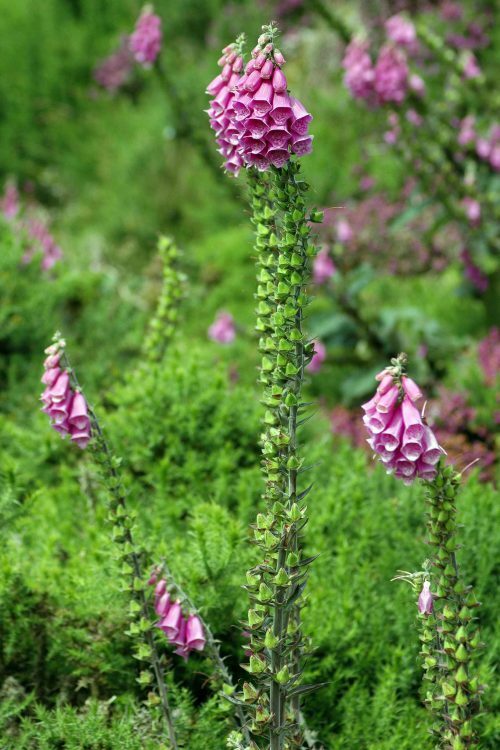 An herbaceous, short-lived perennial plant, with hairy erect stems; variable in height, growing to 20–80 cm tall. 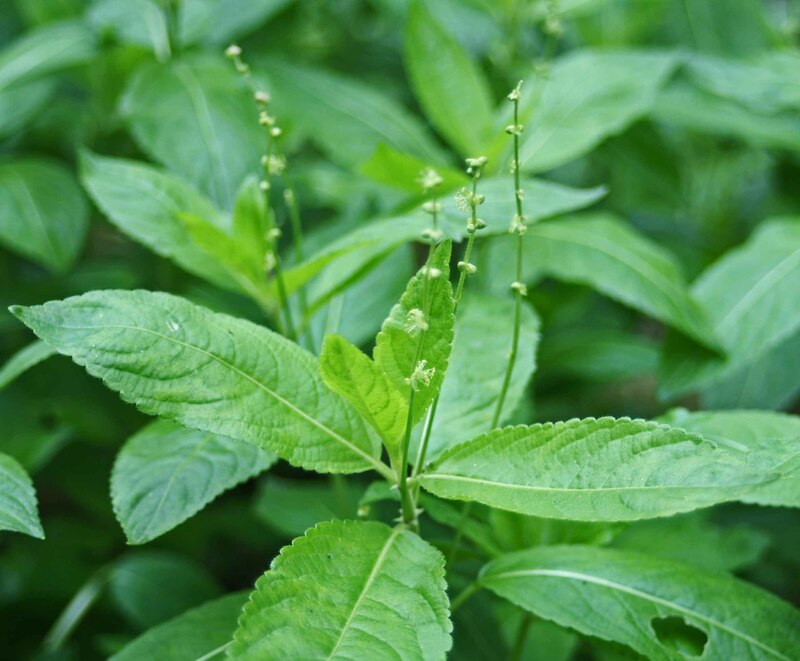 The leaves are alternate, trifoliate (with three leaflets), each leaflet 15–30 mm long and 8–15 mm broad, green with a characteristic pale crescent in the outer half of the leaf; the petiole is 1–4 cm long, with two basal stipules. 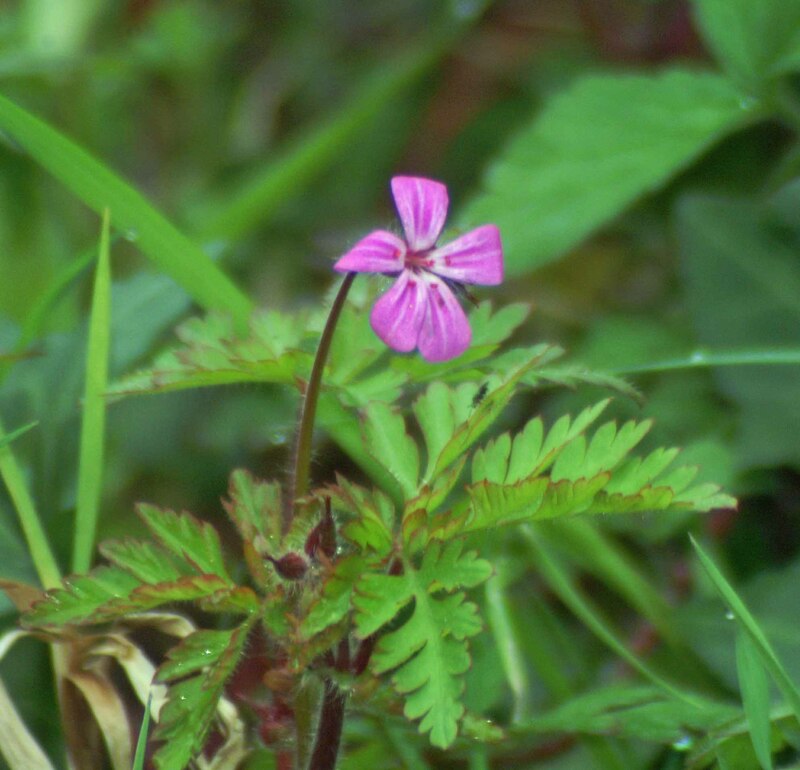 The plant was named Trifolium pratense by Carolus Linnaeus in 1753. 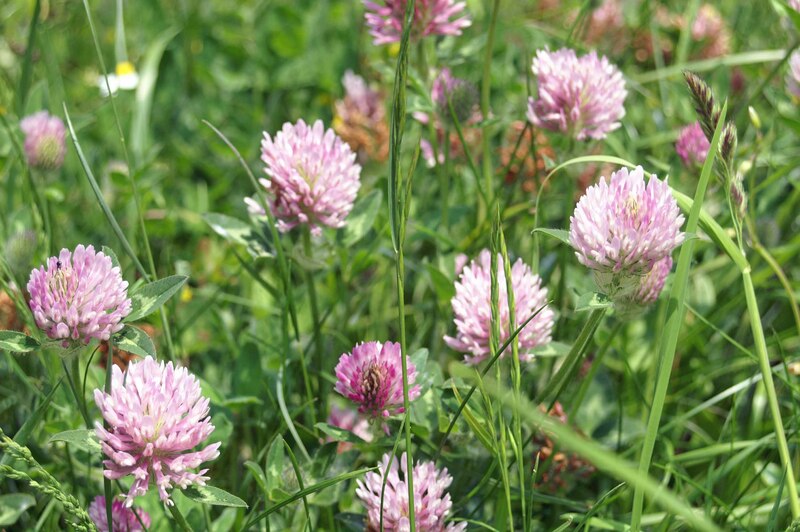 Trifolium simply means ‘three-leaves’ and Pratense is the Latin for “of meadows”. 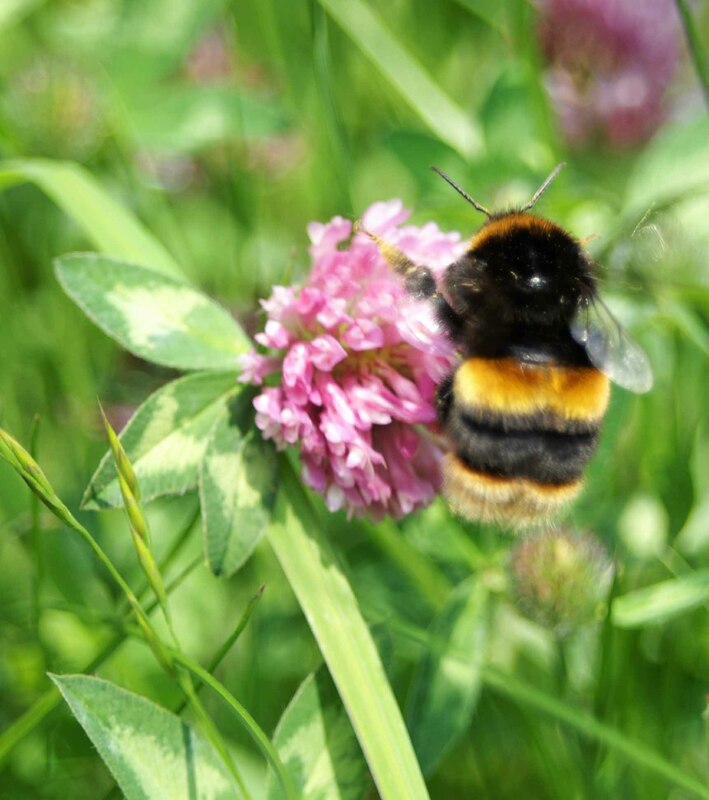 High in vegetable protein, red clover is widely grown as a forage crop and is also valued for its nitrogen fixation, which increases soil fertility and is used as a green manure crop. 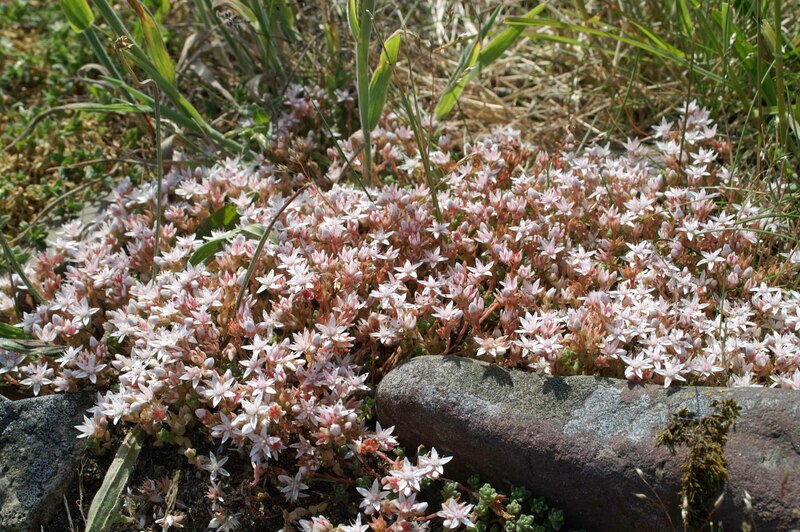 It has become naturalised in many temperate areas, including the Americas and Australasia as an escape from cultivation. 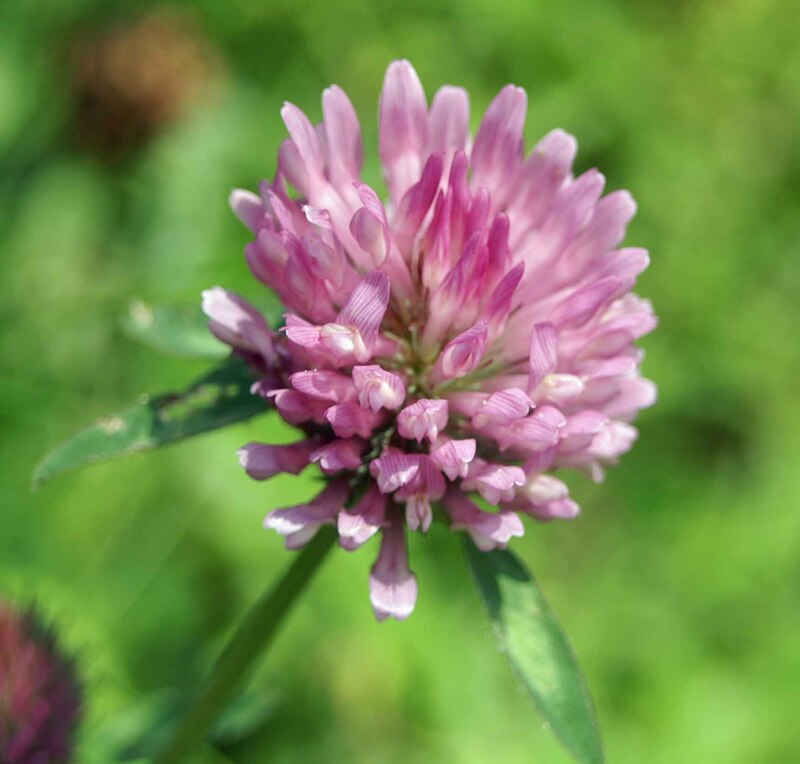 Red clover has been reported to be used for a variety of medicinal purposes, such as the treatment of bronchitis, burns, cancers, ulcers, sedation, asthma, and syphilis. 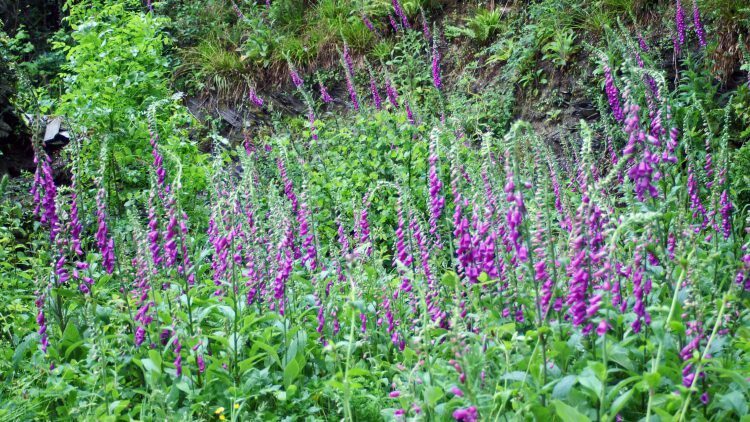 These days its use may be recommended to alleviate symptoms of menopause; red clover contains isoflavones (oestrogen-like compounds) which may relieve the discomfort of ‘hot flushes’. 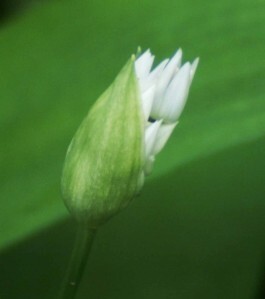 Clover was an ancient protective herb. The Druids considered the trefoils, symbolic of the eternal verities of Earth, Sea and Sky. The Celts saw the clover as a sacred, magical plant. A 4-leafed clover is a sign of good luck and is a charm against snakes, witches, the devil and other dangerous creatures. 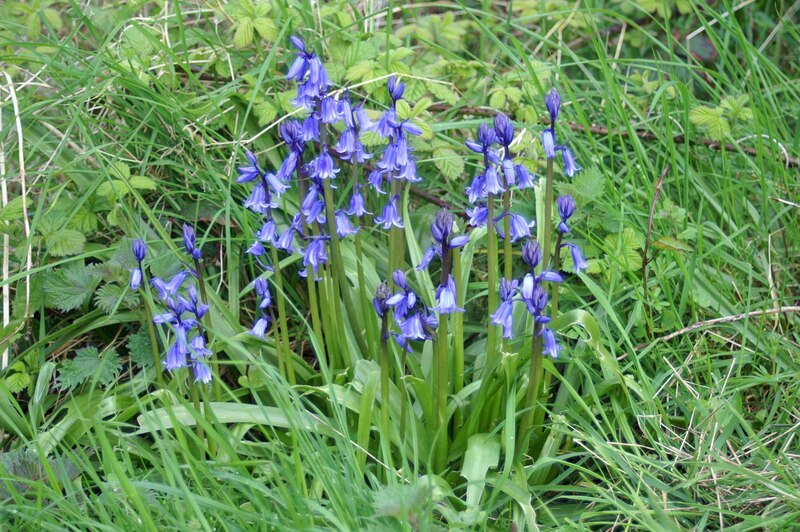 It is also said to give the gift of second sight, enabling one to see fairies. In the language of flowers clover means “think of me” or “be mine”.